Who Shot 15-Year-Old Hannah Bell to Death Outside a Hamburger Stand? Hannah Bell was killed at a hamburger stand on West 78th Street and South Western Avenue in South Los Angeles in April. LAPD South Bureau Homicide detectives say they don't know much about the shooter. New surveillance video shows someone walking toward the hamburger stand and then running away. Those are the word of Ronnie Bell, the older brother of a young girl shot to death in South Los Angeles on April 27. "My sister wasn't that type," he says. "She shouldn't have died. There was so much more she should've been doing." 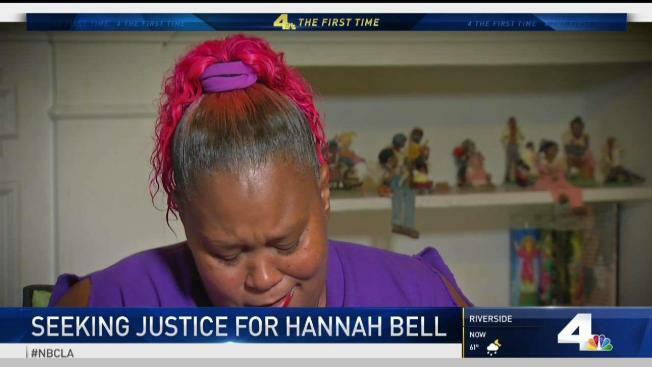 Hannah Bell was 15 years old. Her mom says she was just starting to feel comfortable in her own skin. 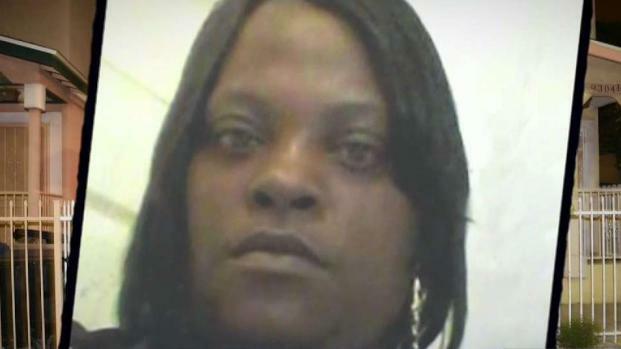 Shonte McDaniel, 52, was shot and killed shortly after a family gathering on a busy October day in 2015. Police believe there are witnesses who could identify the killer but are afraid to come forward. John Cádiz Klemack reports for the NBC4 News at 11 p.m. on Friday, July 6, 2018. "She was a big girl," says mom Samantha Mays. "But I told her she could be a plus-sized model and she was good with that." On that April night, Hannah and her mom had gone to a hamburger stand on the corner of West 78th Street and South Western Avenue in South LA. "She wanted to go to Jack-in-the-Box and you don't understand how that hurts my heart that I didn't take my baby to Jack-in-the-Box," Mays recalls. "I chose this hamburger stand that doesn't have a place to walk in, you stand out on the street. I hate it to this day, it hurts, it breaks my heart that I chose that place." LAPD South Bureau Homicide detectives say they don't know much about the shooter. But new surveillance video released to NBC4 for the first time shows someone walking toward the hamburger stand and then running away. It's that man that police believe pulled the trigger. "Hannah and her mother had their backs to the street," says Detective Gabe Ruiz. "They were facing the window ordering and the suspect fires indiscriminately in their direction." Ruiz says they're not entirely sure who the suspect was aiming for, but released additional surveillance footage that shows two people of interest: an older black man seen tossing trash in the video and a younger black man looking at his cellphone. Both, according to police, may either know the shooter or could provide a better description of him having seen his face. But those two men have yet to come forward to police to assist. Other witnesses who did come forward say they heard the shots as far as two blocks away. Sylvester Burns says he heard the shots as he got off a bus and found himself near the hamburger stand just moments afterward. "I got here and she was on the floor and her mom or auntie was just telling her, fight it, fight it," he says. Hannah's death has taken a personal toll on even those who didn't know the young girl. Shortly after the murder, LAPD South Bureau Homicide Division held a news conference announcing a $50,000 reward and neighbors came and shouted down officers asking for immediate arrests and updates on the case. Leads have dried up, forcing police to release the surveillance video in the hopes of getting more people to come forward with information. "To me you'd be a hero in my eyes, and even the world would think you're a hero, too," Hannah's mother says. "That's why they're offering you $50,000 to say something." Mays says Hannah was the youngest of her children and calls her a best friend. "You know when God picks his fruit, there's nothing we can do about it," she says. "He just picked it to me, at the wrong time. And she was taken the wrong way." Anyone with information on the shooting — and particularly the men seen in the surveillance video — is asked to contact LAPD South Bureau Homicide Detectives at 323-786-5100. A $50,000 reward is still active in the case and will be given to anyone who can offer a tip to lead to the killer's arrest and prosecution.